Leave this holiday drink out for Santa to have with his cookies and you’re sure to get something good in your stocking! 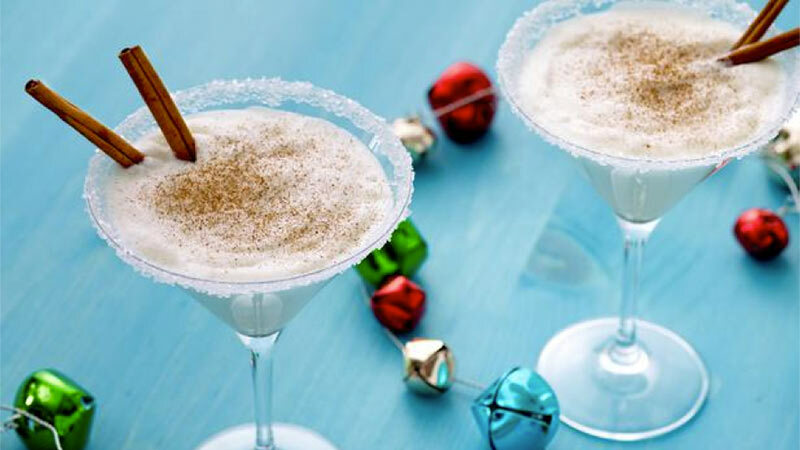 Combine eggnog, brandy, amaretto, nutmeg and ice cream in a blender. Process until smooth. Pour mixture into martini glasses and garnish each glass with a whole cinnamon stick. Recipe courtesy of Sandra Lee.